Their ministry has ended. Life has changed dramatically for the Bofinger family. Then an unexpected accident - and a lot of twists and turns - cause their life to change once again. In The Baker's Wife, Erin Healy has taken her skill as a suspense writer, and crafted a novel that delves into the darker side of humanity. Healy explores what happens when someone makes an allegation against a ministry official - and how that can change a life. The twist in her story is that the person who made the allegation continues to go after the ministry family, because honestly, he sees them as the "problem" in his life. This book is a bit gritty. But it's good. You can definitely see the influence of Ted Dekker (a past co-author) in her writing style. 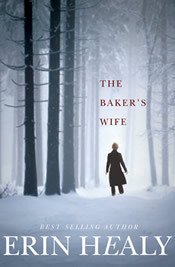 The Baker's Wife will make you think, probably make you cringe a bit at the actions of different characters and well, provide you with a great read. On the scale of one to five, with five being the highest, this is a good, solid three. If you are into Christian suspense, then Healy has provided you with something deserving to check out. Well-known to critics and reviewers, Erin Healy has established herself as an award-winning editor and a best-selling co-author with Ted Dekker. 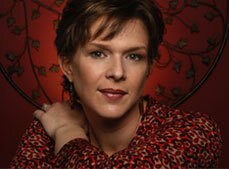 Healy received wide acclaim for her two debut novels Never Let You Go and The Promises She Keeps. Her work focuses on the psychological and spiritual, driven by high moral stakes. She lives and writes in Colorado with her family. Let the flour fly! Beginning October 24, Erin's celebrating the release of her latest page turner, The Baker's Wife, with an outstanding KitchenAid baking prize package giveaway that includes a brand new Kitchen Aid Mixer, cook books, and all you need to whip up some fabulous bread or sweets! Then and on November 10th she'll be wrapping up the release of The Baker's Wife with an Author Book Chat Party on Facebook! Don't miss a minute of the fun! Enter today by clicking one of the icons below. But hurry, the giveaway ends on November 9th. Winner will be announced at The Baker's Wife Author Book Chat Facebok Party. Erin will be wrapping up the The Baker's Wife celebration with a book club chat and giving away a bunch of "sweet treats"! So grab your copy of The Baker's Wife (it's okay if you don't have one yet- you might win one!) and join Erin on the evening of November 10th for a book chat, some "baking" trivia and lots of "sweet" giveaways (books, and Amazon, iTunes & Starbucks gift certificates)! Thank you so much, Kaylea, for taking the time to read and comment on my book!